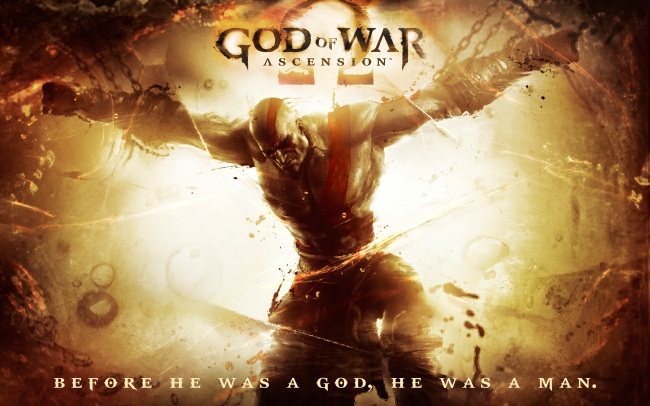 God of War: Ascension takes place as a prequel to the entire God of War series. The game focuses on the series’ famous antihero, Kratos, just after he breaks his blood oath to the true God of War, Ares. Kratos broke his blood oath to Ares by swearing vengeance on him for tricking Kratos into murdering his own wife and daughter. After breaking the oath Kratos is captured by the Furies, the guardians of honor who punish those who them deem necessary of their wrath. Kratos is captured and imprisoned, doomed to an eternity of torture at the hands of the Furies. While torturing Kratos, the Fury Megaera accidentally pushes him into freeing himself. Thus begins Kratos’ journey to find the truth about what he has become and begin to exact his revenge on the Furies, Ares, and every other person, creature, or god in his way. Ascension’s gameplay is much like that of past God of War games but features a few new twists and turns. Being as the game is mainly in the hack and slash genre, players can expect a lot of button mashing and general beat-em-up gameplay. One of the new additions to the hacking and slashing is the Rage Meter. The Rage Meter gauges Kratos’ rage in combat, once it is full basic attacks change and become more powerful. As players progress through the game they will unlock specialty powers that become available when the Rage Meter is full. These specialty powers include the wrath of Ares, Zeus, Poseidon, and Hades. Each god’s power is different and unlocks new attacks to be used in combat when equipped. In Ascension, Kratos is only equipped with the Blades of Chaos, the iconic dual blades chained on to Kratos’ arms. They can be upgraded by acquiring red orbs in the game, the orbs can be found by breaking pots and boxes as well as opening specialty chests and killing enemies. Another addiction to the gameplay includes a melee button which causes Kratos to attack his enemies with his bare hands and feet. This is separate from the grab button featured in previous games as well as this one, and is nice to use in place of repetitive button mashing between quick and heavy attacks. Unique temporary weapons can be picked up throughout the game though, those include swords, spears, and bolo-like gauntlets. These weapons can be picked up and used in place of melee attacks for a period of time, then players can drop them or throw them at their enemies for extra damage. Quick time events are back in action and are featured in Ascension just as much as they were featured in past games. The quick time events are showcased in combat, boss battles, basic level traversal, and in other various ways. Traversing through the environments of the game is where the action/adventure genre comes in. Though the game is linear in the sense that there is really only one direction available and open to the player, the way the environments are put together give the impression of freedom, to an extent, due to their openness. There are also plenty of puzzles to be solved, like in past God of War games. The puzzles offer up a bit of a challenge to the player and they must be completed in order to progress further in the game. They also break up the gameplay in subtle way, so players do not feel as if they are doing the same things over and over again in different places. The God of War series has always been known as one of the leading series’ in graphical innovation. Santa Monica Studios has truly been able to push the PlayStation 3’s capabilities to their limits, give us marvelous graphics that appear as clean as reality in some ways. The opening scene of the game in which Kratos is first shown is stunning, a close up of Kratos reveals every spec of dirt in every pore of his skin. The cutscene graphics and the in-game graphics, though noticeably different, are both very beautiful and well done in their own ways. One of the only flaws in the presentation is the uncontrollable camera angles. The camera angles itself to guide players in the right direction while going though the environment, the problem is that it cannot be moved around and cuts players off from truly exploring other areas of the room or area they are in. A few major glitches and errors were reported when the game was released, but those seemed to be rarely and mostly patched quickly through updates. Voice acting is, as always, well done and leaves nothing to be desired from new and old characters to the series. In short, God of War: Ascension does not fail when compared visually to past games in the series. God of War: Ascension features a multiplayer mode. I did not rate the multiplayer nor enter it into the final score equation. Great review. I’ve never been a fan of Kratos’ sub weapons and preferred the Blades so it’s great that it’s the only one you’ll need in the game. Also I love that you can tether enemies (Scorpion-style) using one blade and attack others using your other blade. Then you’ve got the hand-to-hand combat. The attacks feel powerful and you really feel like you’re taking the fight to the enemy in a raw, brutal fashion that fits Kratos’ character. Since you didn’t mention MP in the review, could you share your thoughts on it? As far as MP goes, all I can really say is that I like the concept, but it does need a little work. If I were to give it a rating off the top of my head it would probably be an 8/10. It’s a lot of fun, the only true problem I have run across is bad teammates. The thing is, it’s kind of slow paced in certain modes and I would have liked to see more customization armor. Overall it’s pretty solid, but I would expect that if they are making a GoW 4 and they want to add MP they will smooth it out and make it a lot better.